Web-Conceptions offer website operations and maintenance via a fully managed website hosting vendor offering a 99.9% Network Availability guarantee. This service is ONLY available to sites developed internally by Web-Conceptions. This is in order to ensure proper/clean development code, and in turn server stability. Price for hosting service varies depending on each client's exact requirements i.e. 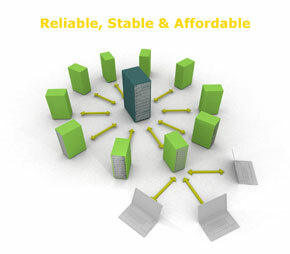 some might require own private servers with full security payment solution software. However, our price is very competitive positioned and surely one of the lowest in the market - we do not strive to profit from this service but merely offer it as part of a complete website development solution. Our Fully Managed Windows servers operate on Microsoft Hyper-V, which is a hypervisor-based technology that provides true Hardware Virtualisation and High Level of Isolation from other virtual machines on the same physical server. Our managed Windows VPS plans include Daily Backups of your data through R1Soft/Idera System along with 24x7 Monitoring of your virtual private server. You can be sure this hosting is one of the most affordable, reliable and flexible Windows hosting providers in the market today. Web-Conceptions operate and maintain your website's hosting via a fully managed server vendor, together with full support. This service has been operating on the web hosting market for a decade and fully registered as a Limited Liability Company - privately owned, debt free and financially stable company with growth of over 300% in fiscal year 2011. Owning all hosting hardware and do not lease or rent it and using multiple facilities to colocate hardware (hosting servers currently available in the US, Netherlands or Singapore). Should it be required, Web-Conceptions provide assistance with selecting and purchasing the right domain name/URL for your website. This is purely an added-value service (i.e. free) & part of a complete solution in web development and search engine optimisation. When selecting a domain name, careful consideration must be given to the overall website concept, content possibilities, SEO, and digital strategy. Indeed, it can play a major part with optimisation performance and overall branding.